A back injury and a family wedding changed the working lives of Gary and Kym Logan – but their challenge to buy a cruise operation at Noosa on Queensland’s Sunshine Coast has paid off. The couple sold up in Melbourne and moved this year to Noosa, where they began the arduous task of making a success of a tourism business they little about. “Our decision to take on the business came about because of an injury to Gary’s back which resulted in surgery and forced him to give up his career as a plumber after 32 years,” said Kym. “After Gary was discharged from hospital, we booked to visit Noosa for a family wedding and holiday. It was during this time we had the opportunity to reflect on life. The couple made another two journeys to Noosa before deciding to buy the cruise business – despite their lack of experience of marine life. “Gary completed the training for his coxswain’s certificate and left Melbourne for Noosa to do a month of work with the previous owner and I joined him later after organising the sale of our house and packing up for the move to Queensland,” said Kym. It was a slow start and a hard task for the new owners to make a success of their new venture, but, according to Kym, business has picked up and Noosa River & Canal Cruises is not only popular with locals but also interstate and international visitors to the Sunshine Coast hotspot. The spruced-up former ferry - The River Express - is skippered by Gary who has done his homework on the river’s highlights and the magnificent waterfront homes of Noosa Sound, pointing out that one of them cost its owner $21 million – and he doesn’t even live there permanently. He leases the property for as much as $25,000 a week during periods like Christmas and Easter. 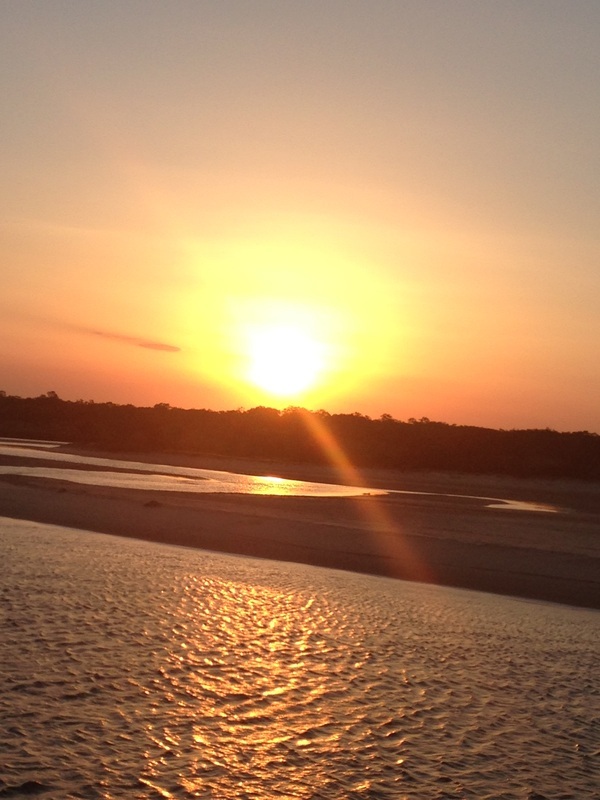 In fact, the majority of the jaw-dropping Noosa Sound canal properties are leased out as holiday homes. Both the day and sunset cruises highlight the river and canals, with the waterfront homes illuminated against the night sky - and there’s ample time to capture the breathtaking sunsets from the river. So don’t forget your cameras! 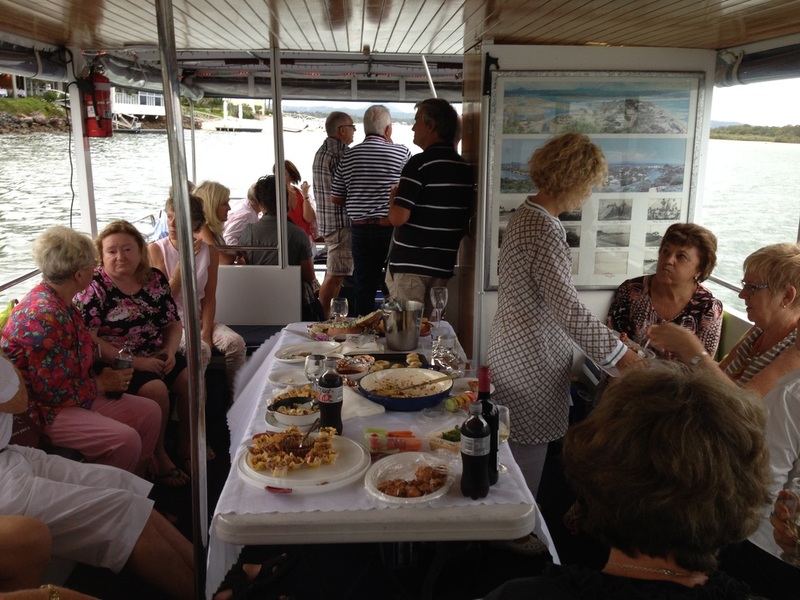 Noosa River & Canal Cruises specialise in private group charters. “For any occasion,” said Kym, “Be it a birthday or a corporate function, we will happily accommodate. While some people like to take advantage of our BYO facility, others want us to do everything and that could mean food, entertainment, transport - even accommodation – and we’re happy to oblige,” she said. 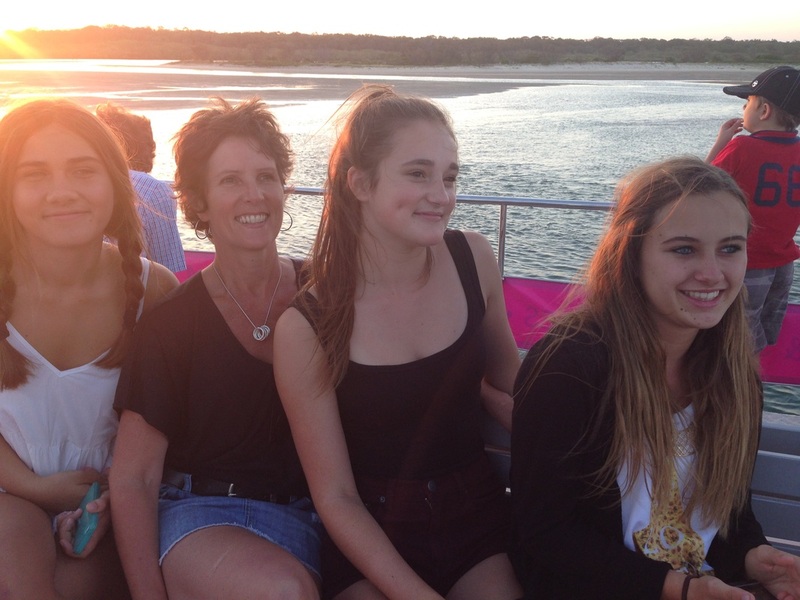 There’s strong competition from private operators offering river and canal charters in Noosa, but a confident Kym – the boat hostess - is quick to point out that theirs is the best with top-notch, personalised service a priority. 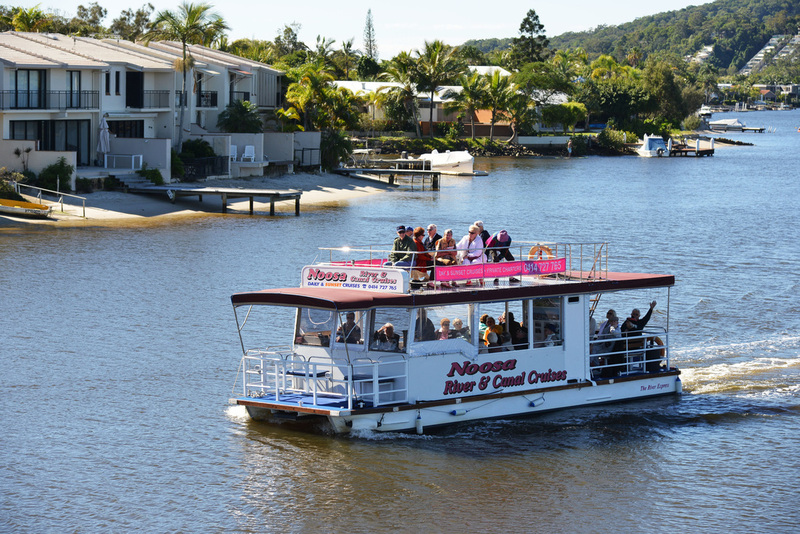 The River Express plies the tranquil waters of the Noosa River and canals, starting from the Noosa Marina with picking up at points in Noosaville and Noosa Heads.